Premier strongly understands that each business has its own unique needs pertaining to both the company and the specific requirements that are looking to be met. This knowledge allows us to cater to your individual needs in order to provide you with the best outcome for your pest control solution. Premier Pest Management is determined to provide you with its fully dedicated services to both rid your problems, and prevent future ones. Premier pest Management specializes in pest management services for Residential commercial and industrial properties. The commercial industry is such an integral part of our organization. We are a dedicated group of experienced technicians that are licensed and trained to handle the demands and obstacles your business may provide. We are constantly developing new ideas while using the latest products and technologies to ensure the best service for your business. We continue to implement innovative service techniques centered around Premier’s Pest Management service. It is an effective and environmentally sensitive approach to pest management that relies on a combination of common-sense practices. Premier implements this system to manage pest damage by the most economical means, and with the least possible hazard to people, property, and the environment. Through communication and teamwork many pest issues can be resolved without the use of pesticides by inspecting for harborage areas and entry points within the facility. Upon inspection of your business Premier will develop a customized pest management program designed to fit the needs of your business. One-Time, Monthly, Quarterly, Exterior and Interior Programs are available. Fully customizable to your specific situation. As all of our treatment programs are safe and effective. Convenient—designed to rid your home or business of household pests. Call Premier Pest Management Today for you free evaluation to see if you have a pest problem: Premier has the solution. If you have a pest problem, we have a pest problem. Protecting Your Home Your Family Your Business. Premier Pest Management expertise spans beyond just residential pest control, we provide comprehensive solutions for business customers, commercial property managers and companies. Premier Pest Management provide proven pest control strategies to protect your properties and your reputation. Pest infestations and the damage they can cause to buildings could cost businesses millions of dollars each year. 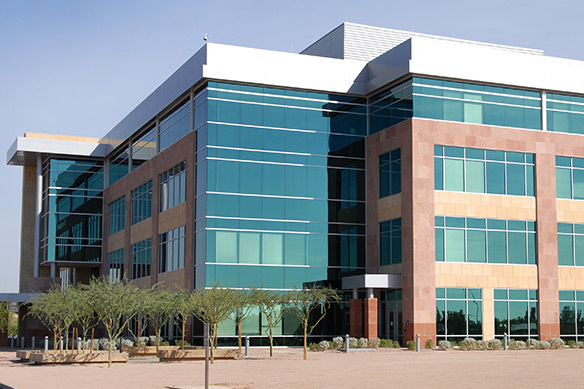 Premier Pest Management delivers long-term pest solutions by providing property managers with the tools and services necessary to control pests in commercial environments. And specializes in Rodent Control, Bed Bugs, Cockroach, Fly Control, Bee and Wasp Services, Bird Control, Ant Control, Flea & Tick Service, and Mosquito Mitigation for commercial spaces. Premier Pest Management knows that residential property managers need someone they can trust. Our commercial property management solutions provide property managers with a partnership you can rely on for all of your pest and facility maintenance needs including: training and education on pest management, and a variety of pest control service options. Our approach to commercial pest control begins with a thorough inspection of your property to identify nesting sites, satellite areas, and favorable conditions causing infestation. Premier Pest Management then incorporates advancements in pest control technology into our Commercial Property Management Pest Program customized to fit the needs of your business. Because bees and wasps pose a physical treat to people, Premier prefers the resident or manager not to accompany them on inspection of affected areas. After removing bees and wasps and destroying exterior and interior hives, Premier technicians install pheromone traps to dissuade bees and wasps from moving in next bee season. Increasingly on the rise in Canada, early bed bug detection and identification can prevent these nocturnal insects from moving to other units through walls and holes drilled for electrical and plumbing components. Premier professionals provide specific steps for removal of bed bugs, including prepping an affected unit, to removal procedures and prevention of future infestations. Keeping rodents out of multi-unit buildings is key to eliminating them and the feasting insects associated with them. Premier Pest Management first seals off all rodent prone entry routes. Technicians trap rodents, who have already found their way into a unit and remove rodent waste and insect infestations, before sanitizing affected areas, and devising a monitoring program. From ant service to tick and flea programs, Premier Pest Control programs cover it all. When you choose Premier Pest Control, you choose a company of research and proven results. Providing the customer with a more thorough service for his pest management dollar. Minimally intruding into the customer’s environment. Using materials that have a long residual life and placing those materials in cracks and crevices where insects hide. Once a technician is at the business, a COMPLETE and THOROUGH TREATMENT is provided, with findings and treatments noted on the service invoice. Truly backs up this promise with a no charge – callback policy. We offer RELIABLE, CONSISTENT service through timely and routine treatment of the commercial structure(s). Our priority of service policy is callbacks, regular services and then new services. An ENVIRONMENTALLY CONSCIOUS approach is used to treat each and every structure. The selection and use of materials are done with the utmost concern for the customer and his business environment. A specific protocol is assigned to each commercial zone. Any location with customer access, where highly discreet application protocol is essential. Note: Zone designations are different for hospitals and food processing plants. Interior focal points in which an infestation is more likely and control efforts should be pro-actively implemented. Exterior areas that could harbor conditions conducive to infestation. Call for more information on how Premier Pest Control can serve your managed properties pest control needs!